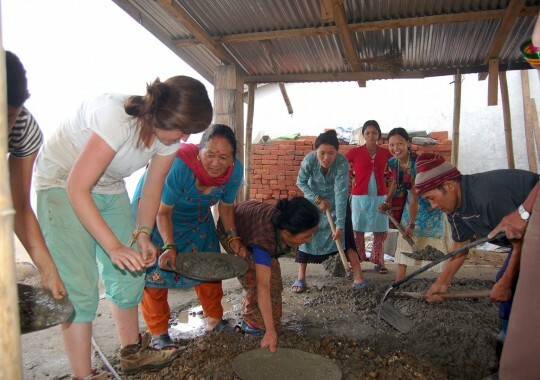 As a part of the aim to build capacity in rural communities, Nepal offers several volunteer programs. PSD welcomes interested volunteers (or groups) from many backgrounds and profession, at all times of the year, for a maximum of 5 months stay in Nepal. The mission and objective of the volunteer programs is to encourage and invite International and National volunteers to contribute in areas of rural community development, education development and environment and nature conservation. These projects help to boost pride and morale amongst local communities and encourage them to take local initiation for development activities themselves. Before coming to Nepal, volunteer groups will raise funds for specific projects. 100% of these funds go direct to the project they are working on. Additionally, local communities/schools will also contribute at least 20% of the project costs. On arrival in Nepal, volunteers undergo in-country training. This training will be one week for the Easter and Summer Project volunteers and 5 weeks for the long-term project volunteers, and includes Nepalese language classes for basic Nepali conversation skills, cultural adjustment lessons and full details of the assigned project as well as any specific skills/training needed for the successful accomplishment of the project. 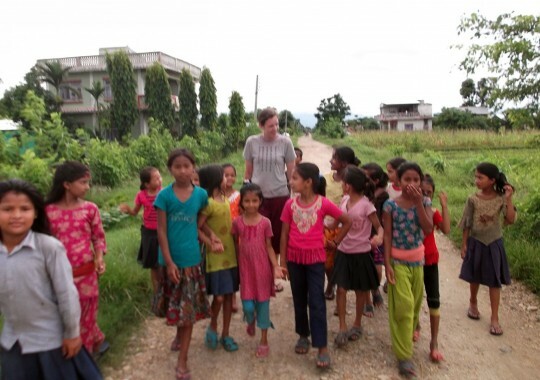 The Summer Project is a short-term hands-on project, where overseas volunteers work alongside Nepalese volunteers to make a significant difference in a rural community or government school. During this programme volunteers organize awareness raising activities to help promote understanding of various social, environmental and development issues. Volunteers help address the different issues by forming self help groups such as youth groups, student groups and women's groups. Additional work includes teaching English, Early Childhood Development program implementation and working on micro-level projects, such as construction work on the school. During the long term special University Volunteer Programme, the overseas volunteers are placed in a Social Development Organization (SDO). 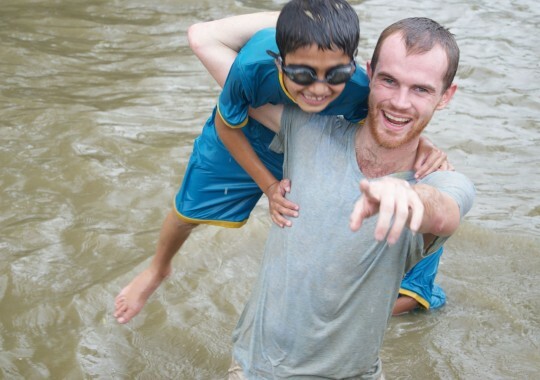 Volunteers work for 5 months with a designated SDO, school, or orphanage. The first aims of the programme are to build the management competency of the SDO and awaken the local people in raising their voice to restore & safeguard their rights. They introduce participatory approaches to the planning, implementation and evaluation of development initiatives in a sustainable manner with meaningful linkages. They will be enabled to work on social mobilisation, the promotion of a right based development approach, and to contribute to capacity building of deprived and poor communities to initiate rights based development efforts. This development at local, grassroots level, is focused on school participation and orphanage involvement. PSD organizes an internship program for international students in various fields of development in collaboration with our local partners, who are serving in different areas of development. PSD offers internships in many areas related to Nepal and its development activities, including; Cultural studies, religion, women's studies, development studies, journalism, handicraft, Nepali language, NGO Management, anthropology, health, conservation, environmental & ecological projects, legal and other development activities. Under the internship program, the intern engages in the daily activities of a project. In most cases, interns develop a report paper in a particular area of interest by working closely with the project staff. Generally, the Director of the project serves as a supervisor for the intern. PSD Nepal offers exchanges for medical students, who often come from Europe, America, and Australia. In this programme medical students come to volunteer within a Primary Health Care Centre (PHC) and community hospital. A PHC is a mini hospital based in rural communities. Students have the chance to see a range of patients and can assist the PHC from 4 weeks, to two months. This program is designed for Medical Students, enrolling in a non-elective course in Nepal. The General Program is for students of medicine, and does not require any medical specialism. PSD also offers elective courses for medical students. Again, these students often come from Europe, America, and Australia. 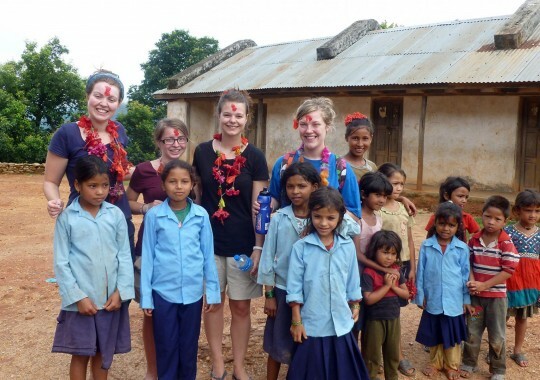 In this programme medical students gain elective credits in a 4 week to 2 month volunteer post in a Nepali hospital. Volunteers work under the supervision of consultant doctors. Students have the chance to see a range of patients and can also specialise in a host of local hospitals. PSD has supported volunteers in Kathmandu Haemotology Department, Pediatrics, Trauma, Psychiatry, Tropical Diseases and Obs & Gynae. There is a maximum stay of 5 months for these volunteers. Research is another aspect of PSD’s program. PSD provides services for research programs as well as in arranging placements for research students undertaking research on various aspects of studies in Nepal. We are able to assist with and provide all the necessary resources required for research, up to the PhD level. PSD now offers eco volunteering projects in the National Parks of Nepal. We are currently helping with the clean up of Langtang National Park, Rasuwa, Northern Nepal. Plastic bottles, tourist waste, and poor recycling facilities currently impinge on the environmental wellbeing of this National Park. PSD sends volunteers to work on these issues, both on environmental clean up operations and on construction projects, installing waste and recycling facilities. Get in touch now ! Click here to download our latest newsletter and here to view our previous newsletters. The newsletter will keep you updated on PSD Nepal news and activities, successes and future plans. Any questions and/or comments regarding the newsletter or about PSD Nepal are more than welcome. Please forward this newsletter to all those who have worked with us. We also publish relevant articles, views and comments sent by our partners and supporters. If you have anything worth sharing, please email it to us. PSD gives training to key development practitioners, to enhance their knowledge and skills regarding development and in particular to be able to work at the grassroots level. These training modules entail; PRA (Participatory Rural Appraisal) techniques, proposal writing skills, report writing skills, career counselling, gender and social mobilization, Training of Trainers (ToT), report writing, financial governance, conflict resolution and peace building, leadership workshops, cross-cultural exchange workshops, office management, Project Learning Activities, interpersonal communication skills (with the aim to enhance their practical field working skills) and more. Teachers are one of the most valuable stakeholders in rural schools. PSD believes it is imperative to build up their capacity in order to improve the quality and strengthen rural education. PSD considers this issue seriously and has developed a teacher training manual. We are dedicated to creating capacity building training opportunities in rural schools and offering bespoke teacher training. PSD is governed by an executive committee of experienced professionals, who employ a team of dedicated staff to run the operations of the organization. As a forum for development practitioners and professionals, PSD acts as an umbrella to a pool of multi-disciplinary human resources with varied experience in education, community development, health and sanitation, conservation, youth development and information technology. Students are the primary stakeholders of schools, and are to be actively involved in educational development activities. School is supposed to be a learning platform where students gain many life skills rather than just prepare for exams. Often this opportunity is lacking in rural schools of Nepal. This has the end result of a significant number of student drop outs. Thus, PSD establishes self reliant students groups and strengthens them through various skill trainings. Training includes courses on student group management, non-formal activities management, fundraising and leadership etc. PSD Nepal offers partnership exchanges with entrepreneurship colleges, universities, and institutions. These exchanges promote social entrepreneurship at the grassroots level, tackling issues related to development, including journalism, handicraft, Nepali cultural heritage, NGO Management, anthropology, health, conservation and development activities of Nepal. PSD works in collaboration with local partners who are serving in different areas of development for these schemes. The most recent scheme was led by Mercer University students from Atlanta, USA. 2 professors and 12 students came to Nepal in June 2017 to run an exchange developing new ECD methods (Early Childhood Development). These entrepreneurship students also ran student classes and local teacher training, to facilitate bilateral learning and meet their credit expectations. 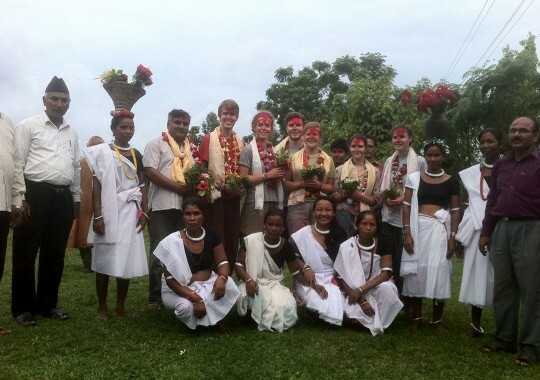 Students also explored Nepali culture and benefited from the beautiful touristic destinations of Nepal (e.g. Chitwan, Kathmandu valley, Pokhara).